Students on campus love the idea of decorating doors to bring more jolly spirit to BC. 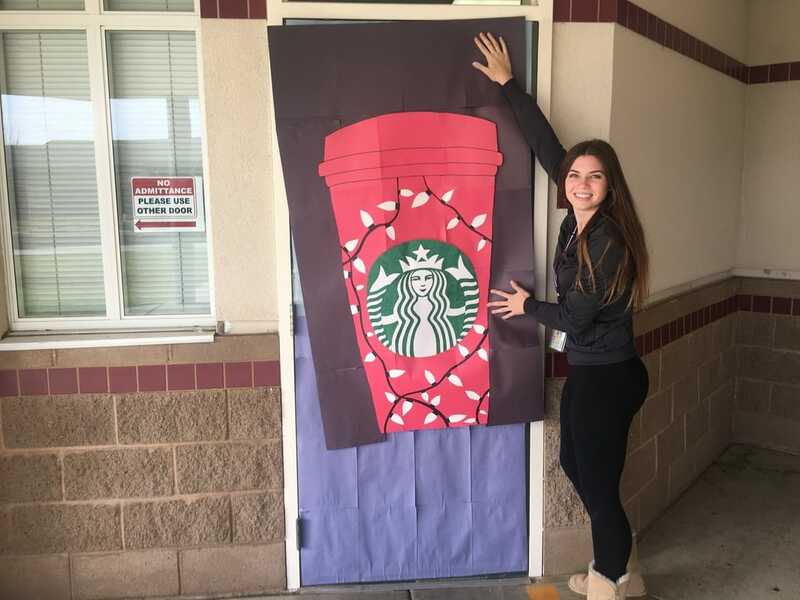 Students have been persuading teachers to decorate and participate in hopes of winning the contest. There are also other ideas that were put into mind. Senior Mellanie Kelly stated,” They were thinking to decorate academies by themes. So freshmen, sophomores, juniors, and seniors would each have an academy responsible for decorating, but no one got together and made it possible because it’s difficult to get together with your class.” Perhaps next year, administrators could get together and make that possible. Several staff members are very excited about the contest. Administrator Anelle Kelly is particularly excited. When she first found out about the contest she was ecstatic and very eager to begin decorating her door. She stated that she remembered doing it last year, but she had been so caught up in work, that she had totally forgot about it this year. Before time is up, don’t forget decorate your door! The competition ends on Tuesday the 13th. Judges will compare the doors and choose a winner shortly after. Several classes have already began to decorate so don’t miss out and participate by bringing so holiday jolly to BCHS.